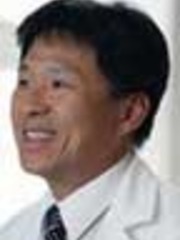 Dr. Hoh is the Division Chief for Nuclear Medicine (PET) at UCSD. PET imaging is a diagnostic imaging procedure used to visualize metabolically active tissues based on molecular processes. The positrons are detected by the PET scanner and fused with CT images to generatePET-CT images for diagnosis and to guide subsequent treatment. PET provides physicians with specific information about the function of organs and cells within your body that are unattainable through any other available imaging techniques. The PET scan also can uncover disease that may otherwise go undetected.